Venezia's Pizzeria, Pizza Delivery in Mesa - 2 locations! Our Roma brand combines more than 60 years of heritage to bring the best Italian ingredients to America. In 1951, at the age of 20, Louis G. Piancone left Corato, Italy, for the United States. In 1955, Piancone decided to pursue the true American dream and opened an Italian delicatessen in Bradley Beach, New Jersey. Noticing a need for wholesale distribution to restaurants in the area, in 1964 he sold the retail side of his business. He moved his focus to supplying authentic Italian food to restaurants and Roma Food was born. Today Roma combines this tradition with a dedication to sourcing the best Italian products, both traditional and innovative. Roma is the leading food service brand for authentic Italian food and impeccable service. Meet the Roma Family of Brands Roma sets the standard for pizza and Italian ingredients with options for every part of the meal. Whether you make everything from scratch using family recipes or prefer to let us do the work sourcing quality pastas, appetizers, desserts, pizzas, and more for you to prep and serve, Roma has the selection for every type of Italian eatery. Fontanini is the uct line and you’ll know why! We carefully select only the highest quality cuts of pork or beef and season them to perfection with one of our proprietary spice profiles. Whether you like it spicy or mild, Fontanini Sausages have exceptional flavors and added eye appeal to make your meal like no other! Stanislaus is the #1 Tomato Packer out of California. For generation after generation, we at Stanislaus Food Products have prided ourselves on packing the very best quality tomato products available. Through the years, our company has maintained that unwavering commitment to quality, in the belief that quality products attract quality customers. To make our premium tomato products with consistently superior flavor, we have always done things differently from the other guys, and continually enhance our products—even though it costs more. Our family wouldn’t have it any other way. Tomatoes for our marinara come from Italy packed by Sogno Toscano. 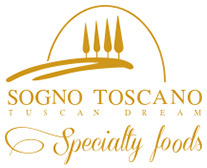 Sogno Toscano is a family farm in Bolgheri, located in the heart of the Super Tuscan region of Tuscany. This is one of the most fertile lands of Italy and home of world-famous wines such as Sassicaia, Ornellaia, Guado al Tasso, and many others. We are glad to only carry high-quality Italian cooking products that represent the pride for our country. Being able to import and distribute them directly from Italy allows us to express excelling customer service each and every time. La Molisana is one of the better Italian brands that caters to Italian restaurants in Italy and the United States. La Molisana is an Italian food company based in Campobasso. 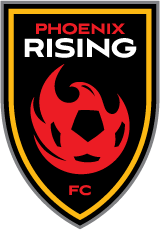 It was founded in 1912. La Molisana produces a range of pasta. The company exports products to about 50 countries and offers private-label production services. The La Molisana brand and has worked diligently over the last few years to grow the brand to become Italy’s 5th largest national pasta brand. Boar’s Head is a U.S. supplier of delicatessen meats, cheeses and condiments. The company was founded in 1905 in Brooklyn, New York, and now distributes its products throughout the United States. At Boar’s Head, we are committed to providing the highest quality delicatessen products. Nothing less. We use only the finest ingredients: whole muscle beef, pork and poultry, and spices sourced from around the globe. That’s why Boar’s Head has been the deli brand you can trust for over 110 years. Polly-O is an American cheese manufacturing company. Polly-O was started by Giuseppe Pollio in Brooklyn in 1899. Pollio brought his family’s traditional cheese-making Italian traditions to America with him. About 100 years ago when Pollio first came to America, he went to Coney Island in Brooklyn, New York and set up his ricotta and mozzarella kettles on the beach after coming through Ellis Island. 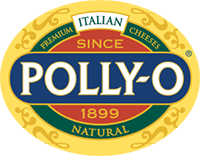 Polly-O cheese is sold in many US grocery chain stores and is well known for its ricotta, mozzarella, and string cheeses. Most Polly-O cheese is manufactured in Campbell, New York. Polly-O is one of the largest producers of Italian cheeses. This company produces almost one hundred million pounds of cheese each year. Huffington Post calls the company’s string cheese line “a work of art”. Smithfield is one of the top producers of Pepperoni. brand’s heritage of quality pork began in 1936 when Joseph W. Luter and his son founded their small meatpacking company in Smithfield, Virginia. Almost 80 years later, Smithfield continues to delight consumers with premium-quality hams, smoked meats, bacon, and fresh pork. Flavor hails from Smithfield. Sanderson Farms is one of top poultry producers and our chicken wings provider. Sanderson Farms is the third largest poultry producer in the United States and produces 9.375 million chickens per week. It is the only Fortune 1000 company headquartered in Mississippi. It is one of four companies which largely control the poultry farming industry in the United States. Bindis one of best Italian companies for desserts. Our story begins in 1946 when talent, creativity, and a bicycle came together and elevated the meaning of dessert from a mere pastry to also a service. It was in 1946 that Attilio Bindi, a Tuscan restaurateur and founder of the company, came to Milan with his family and sons, Romano and Rino. They opened a small pastry shop on via Larga, one of Milan’s historic streets. There, the unique concept of fast and reliable delivery of high quality desserts for the food service trade was born. Renaissance Man Food Services is a certified minority-owned food company, headed by Herschel Walker, with offices in Siloam Springs, Arkansas and Savannah, Georgia. Originally founded by Herschel Walker in 1999, RMFS joins with Simmons Foods to bring quality poultry, pork and bakery products to the retail and food service marketplace. RMFS seeks out supplier partners who offer high-quality, uniquely designed and competitively priced food products. We work with these supplier partners to meet the needs of our retail and food service customers. Our supplier partners have state of the art manufacturing facilities that are maintained to the highest industry standards. Arizona Gunslinger hot sauce and productsSince 1985, Arizona Gunslinger has consistently produced the finest collection of spicy hot foods available to the market. Flavor and taste are the first emphasis for Gunslinger products with the ideal amount of spicy heat added to please a wide variety of palates.